Paul Francis Mayhew, of Felthorpe, Norfolk, was educated at Haileybury College and then Christ Church, Oxford, where he read Modem Greats. He was a member of the University Air Squadron in 1939 and in June he joined the RAFVR as an Airman u/t Pilot. Called to full-time service in September, he was commissioned on the 26th and sent to No. 1 ITW Cambridge. 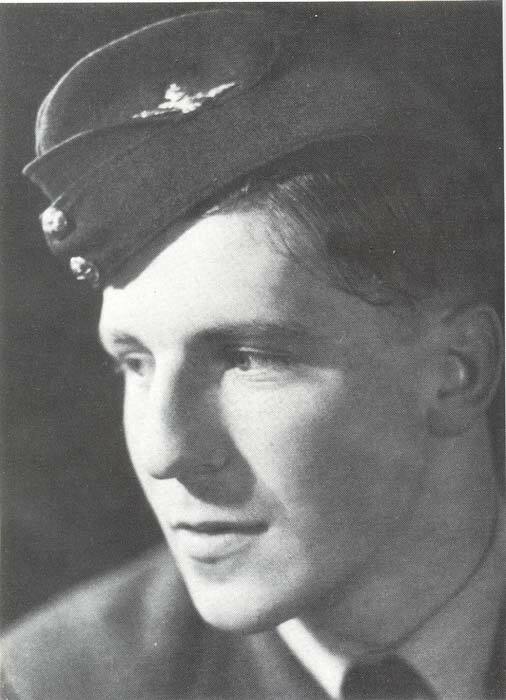 In mid-November Mayhew was posted to FTS, Cranwell and was awarded his flying badge in February 1940. With the course completed, he went to CGS, Warmwell and then to No 1 School of Army Co-operation at Old Sarum on May 9th. 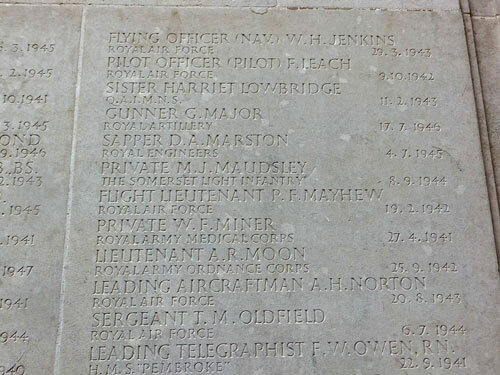 Mayhew was posted to 5 OTU, Aston Down on 23rd June 1940. After converting to Spitfires, he was posted to 32 Squadron at Biggin Hill on 6th July, flying Hurricanes. 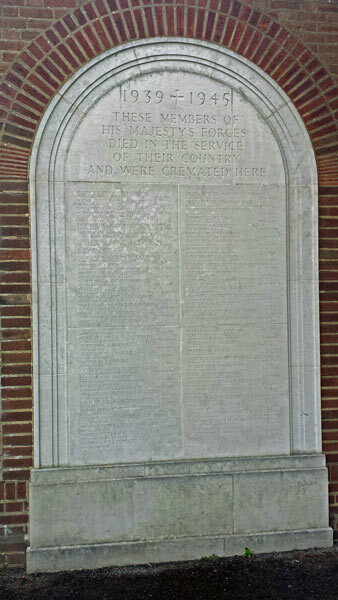 On the 11th he went to 79 Squadron at Acklington. On 15th August he damaged a Me110. On the 27th the squadron went south to Biggin Hill and next day Mayhew shared in the destruction of a He59. His Hurricane was damaged in combat on the 29th, he shot down a He111 on the 30th and a Do17 on September 1st. The squadron moved to Pembrey on the 8th. Mayhew was one of a section which intercepted eight He111’s over the Irish Sea in the evening of 29th September. He chased them but found himself alone when he caught up, about 15 miles off the Irish coast. In the face of intense cross-fire, Mayhew made some attacks, resulting in the Heinkels jettisoning their bombs and heading for home. At this time other 79 Squadron Hurricanes arrived and made attacks. One Heinkel was hit and began to fall back, with one engine smoking. Mayhew made a further attack on this aircraft, which went down and was later confirmed as destroyed. The other Hurricanes turned for home but Mayhew continued to chase the surviving Heinkels. Some time later he found himself over the Atlantic about 70 miles southwest of Wexford. He turned for home and with darkness approaching fast and very low on fuel, he made a wheels-up landing in a stubble field at Enniscorthy, County Wexford. Mayhew was interned by the Irish authorities and held at the Curragh Camp. His Hurricane, P5178, was impounded. In December he obtained permission from the Air Ministry to give him parole to travel to Dublin each day from the Curragh to study for an honours degree under tutorship from Dublin University. Later, in December, Mayhew was joined by other internees. On 20th January 1941 he and three others broke out of their compound in heavy snow. He was recaptured when nine miles from Dublin. In the early hours of 26th June 1941 Mayhew led a well-prepared escape with nine other internees. He and five others managed to reach Northern Ireland. Back in England, Mayhew married and returned to 79 Squadron, then at Fairwood Common. In late 1941 he was made a Flight Commander and in December the squadron moved to Baginton to prepare for a possible move overseas. 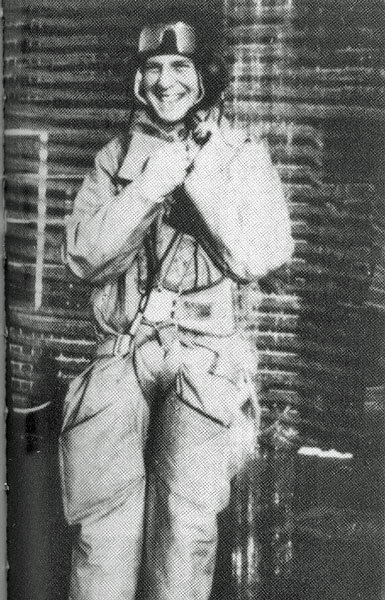 Defensive patrols were still being flown in February 1942 and on the 19th Mayhew led his flight on an uneventful one. On return to Baginton, he ordered his pilots to land but he stayed up. Soon afterwards he flew across the aerodrome but, on turning, his engine stalled and he was too low to recover height and he crashed. Mayhew was severely injured, did not recover consciousness and died five minutes after reaching hospital. He was 22 and was cremated at Perry Bar Crematorium, Birmingham.